Layouts offer gracious living space, with full-floor residences featureing spacious great rooms with multiple exposures. 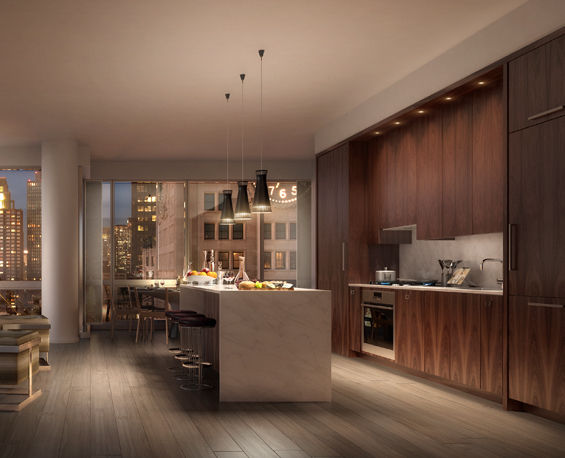 Full-floor residences feature grand master suites with bedrooms overlooking Madison Avenue and the Park. Kitchen cabinetry inlaid with a ribbon of bronze framework is sleek with an artisanal touch, while integrated appliances and marble surfaces complete the understated simplicity. 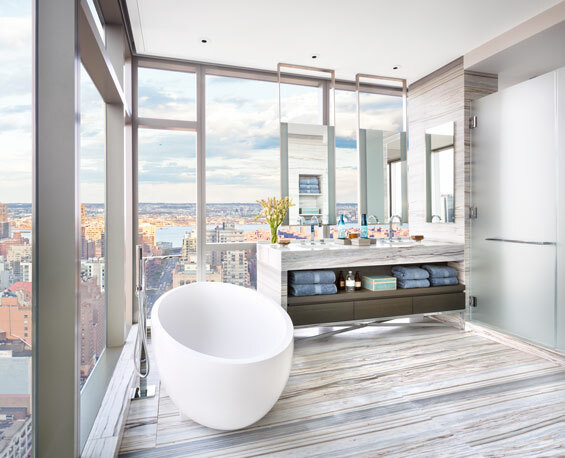 Master and secondary baths clad in opulent marble evoke the sanctuary-like feeling of a spa. 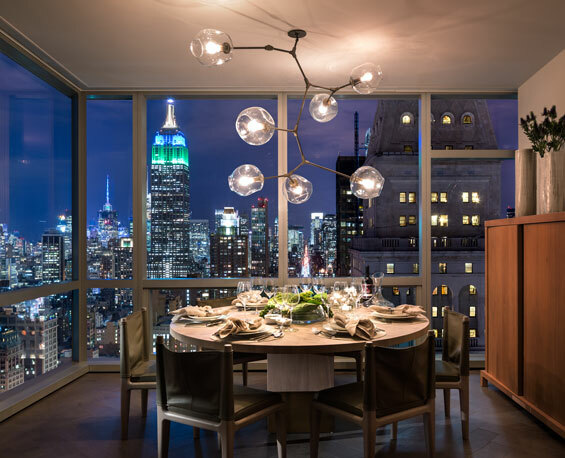 All Yabu Pushelberg interiors offer dining areas with northern views overlooking the Empire State Building and Madison Avenue. 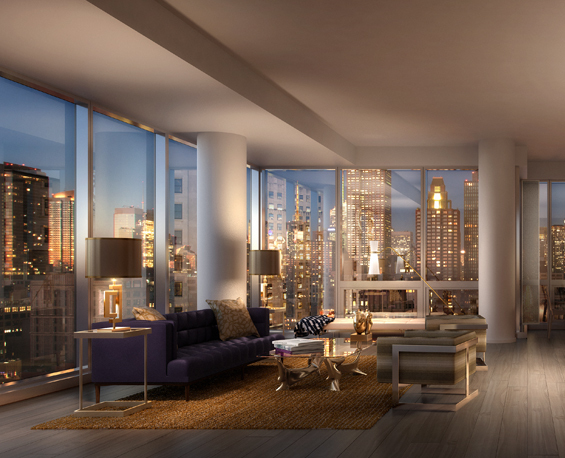 Full-floor residences offer dramatic corner views in every direction. Custom kitchen cabinetry in satin-rubbed Indian Laurel veneer is embellished with luxurious marble countertops and seamlessly integrated appliances create a tailored feel. 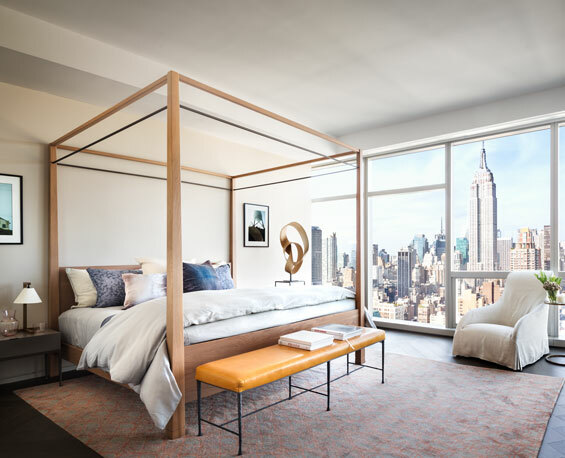 Residences designed by Cetra/Ruddy, feature materials and finishes in light hues that accentuate the beauty of the evolving sky and elevate the experience of loft-like interiors. Master and secondary baths are serene retreats clad in an array of opulent stone surfaces from Italian travertine to rich marbles. 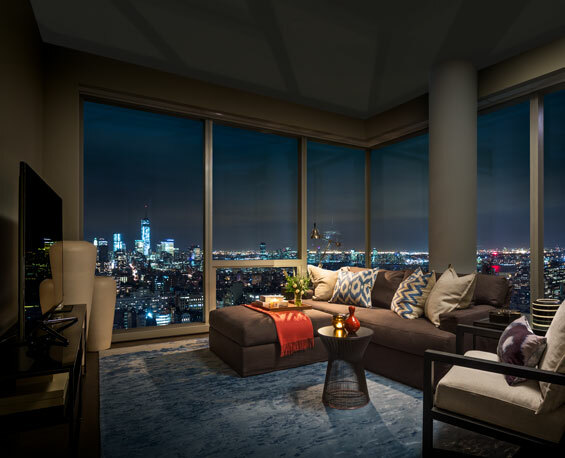 Spectacular river-to-river-to-sea views provide VIP sightseeing through uninterrupted floor-to-ceiling windows.